Want to hook-up with the best fishing Guides & Charter Captains. 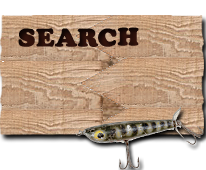 Looking for that hard-to-find lure or marine product? This section is for you! Listings include local tackle shops, marinas, boat retailers, charter services, fishing guides and just about anything that can help you catch fish! World Class sportfishing off the west coast of Vancouver Island. We are located in the Nootka Sound Region and moor in scenic Zeballos. Whether you are looking to find our prized Chinook (King) fishery or those dancing Coho (Silvers), the Nootka area offers some of the best fishing on the entire West Coast. Giant halibut, Snapper and Ling Cod are very plentiful and popular with our anglers as well. 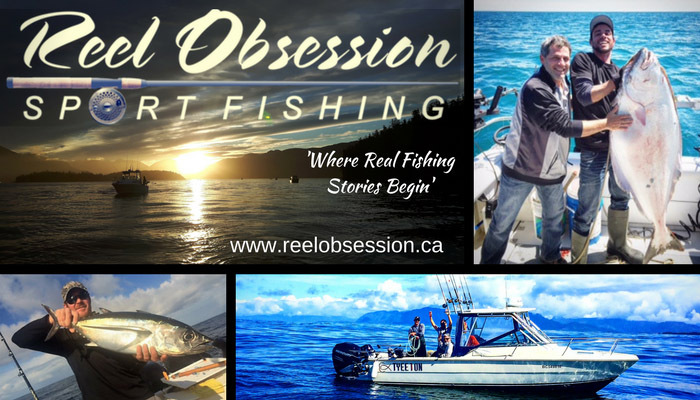 Reel Obsession Charters also offers world class Sportfishing in Victoria British Columbia. With charters operating year round, Victoria's mild climate make it the perfect place to enjoy a winter retreat. We offer a variety of fishing packages from all inclusive trips to day outings. Guided Salmon & Halibut Fishing Charters. Experience some of Canada's best West Coast sport fishing off Vancouver Island's southern tip out of Sooke Harbour, BC. Step aboard our first class 28 foot charter boat the "Tyee Warrior". A fully commercially certified, registered, and insured fishing machine boasting; twin 300 HP engines and high end navigation, communication, and fish finder electronic systems to get you there and back safely and target that fish of a lifetime! Our boat's creature comforts include; a fully enclosed heated cabin, big bright windows on all sides, comfortable dinette seating with table, stereo, private washroom, and a spacious fishing deck with covered seating, non-skid flooring and safety railings. Your guide; Mike Pashniak, is a fully certified commercial operator with over 25 years of Salmon and Halibut fishing experience. Our charters include; quality fishing gear, rods, reels, tackle, bait, fish cleaning and filleting, an bags to take your catch home. Book early for best 2018 dates!!! Get Additional Exposure with a Premier Listing!